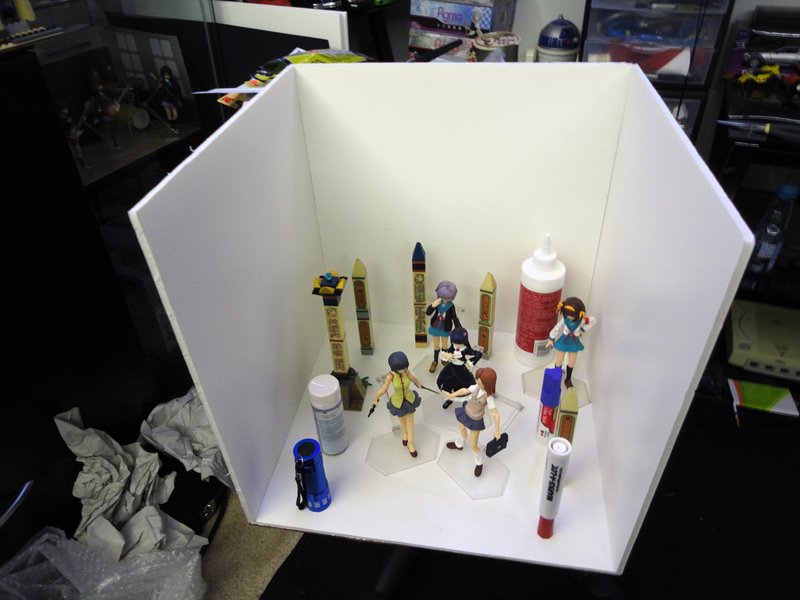 So I've been planing on making a small forest display for my touhou figma. Put together a mockup with some random items for size reference. made the box as big as my display case would allow, but am still having second thoughts about weather or not it'll be big enough. So I went with printing out a base instead. I think I might have made the path a little too wide... colors also seem a bit off. and today I received some cheap aquarium plants, figured I'd cut em up and glue them onto some branches I collected. But now I'm starting to second guess the size of this display, and I'm really wondering if the whole thing isn't too small. I think the branches themselves look okay, but while I had collected more than enough for this project in the right size, when I went to get them it turned out my mom tossed them all out. 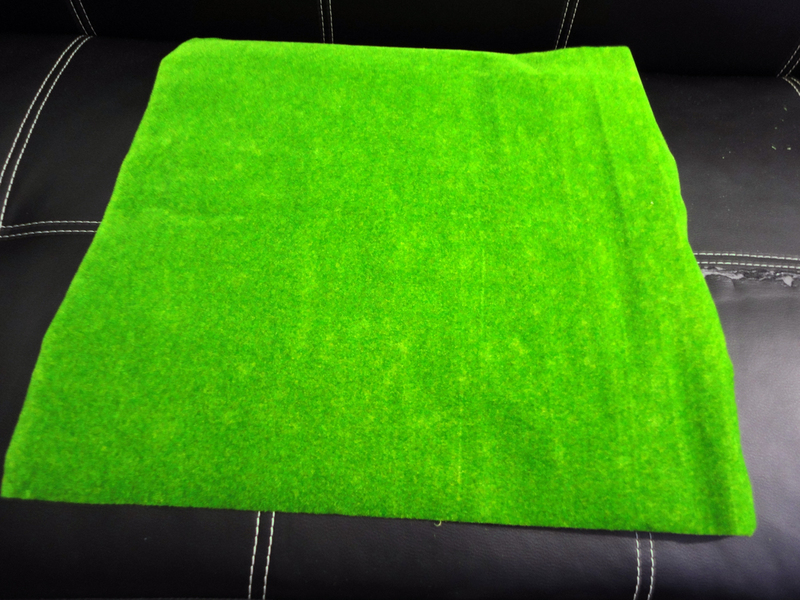 What, is that the grass matt thing you showed on IRC other day? Looks nothing like the photos on the seller. Any guess for the background yet? Maybe it can help making the box feel a bit more spacious. yeah, it was pretty disappointing since I held off working on this display for weeks while waiting on it. I doesn't look much different than some green fabric would would. at best all I could see myself using it for would be a park, like a clean city park, or a lawn. This is really the problem with trying to use model train stuff, it's all designed for smaller scale displays. 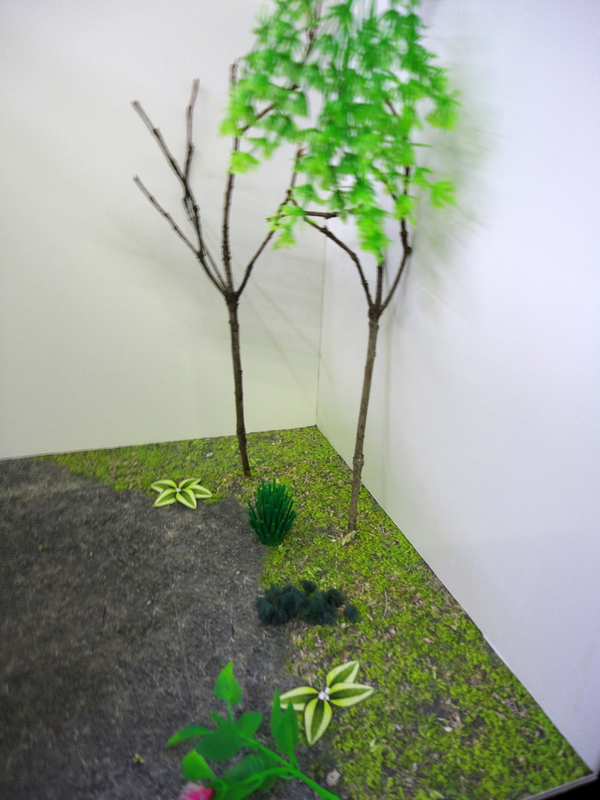 had the same problem when trying to figure out how to do trees and plants, becuase trains are so small plants made from foam looks fine. Some fish tank plants seem pretty good, and I was able to get a good deal on some, but as I discovered, to make trees with them, you'd probably need a lot of the stuff. 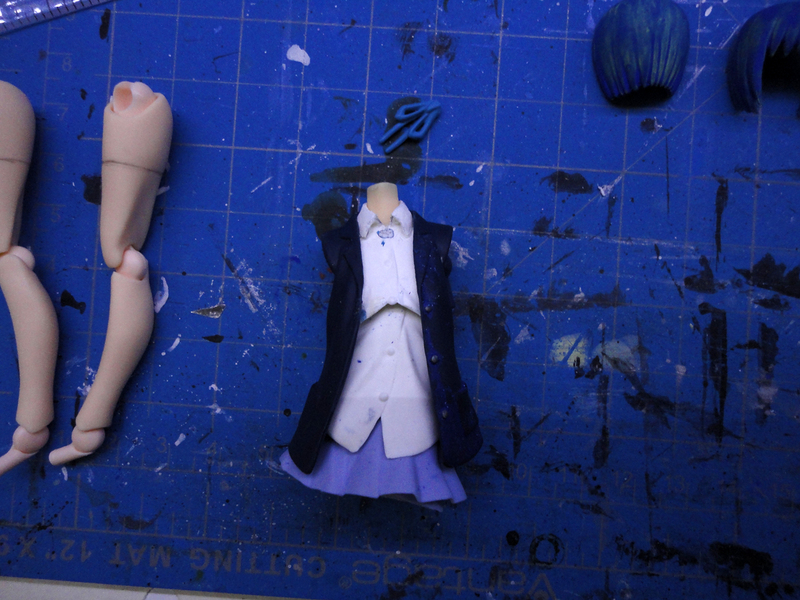 I also think the color looks a bit odd, I might try painting them a darker green... I dunno. As for the background, I'd be using forest pics of curse. 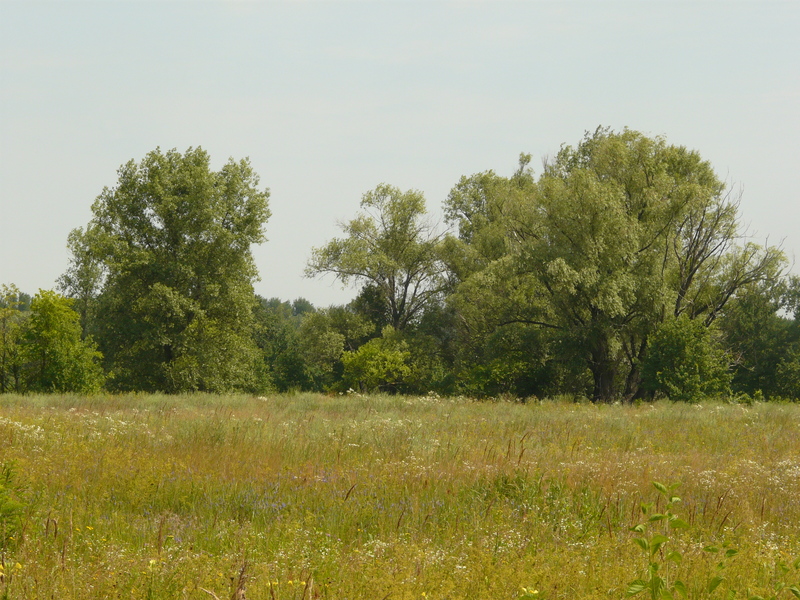 it was harder than I would have thought to find photos of forests that would work for this, since I'd want the top part of the box to show the sky above the tree line. 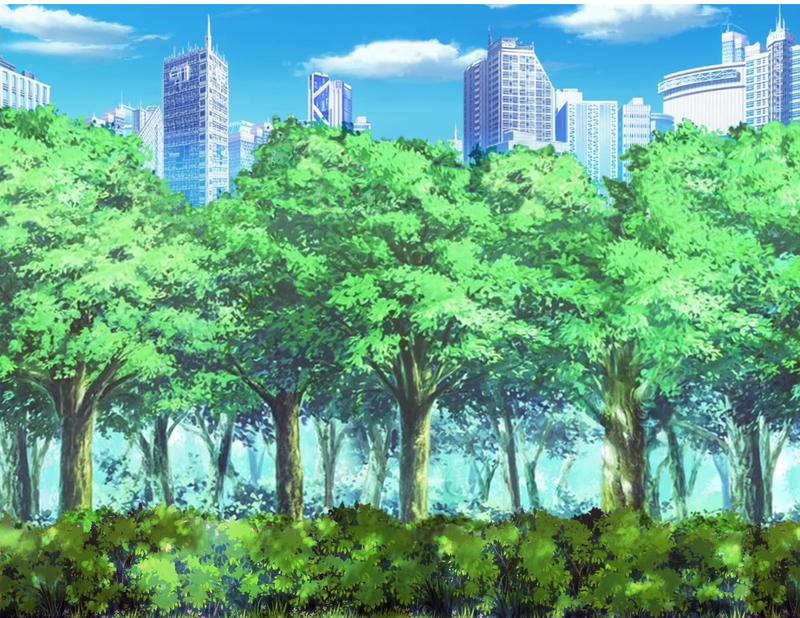 still, I was able to find a few different pics of forest sides I might be able to use. 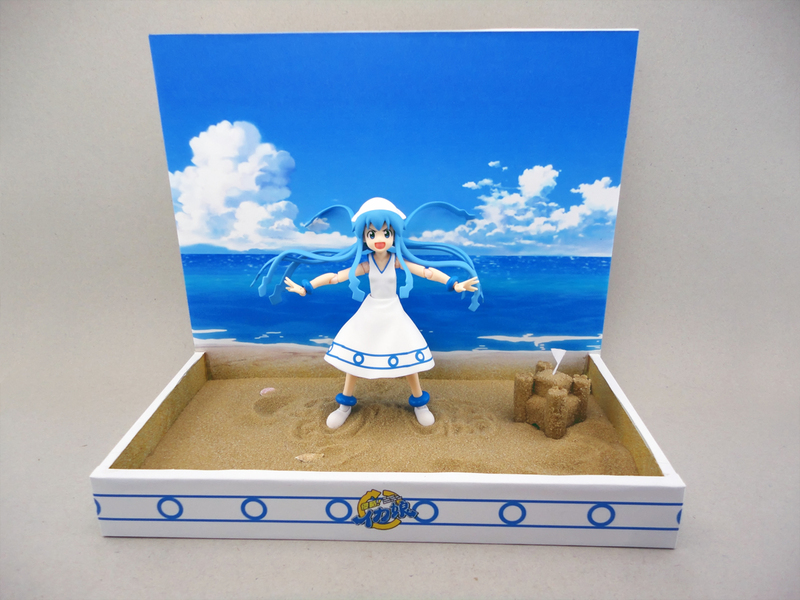 just think I should make the trees first, then edit the photos to match before applying them to the background or else it'd end up like the first beach display I made, where the sand in the background didn't match the real sand I used. Figure I'll place bushes all along the edges of the display to hide where the background meets the floor. just curious, does anyone know if store bought reindeer moss would turn brown over time or not? like, I'm not sure if the stuff is still alive or not. It should be fine - I don't think it will brown or anything, but it might get dry over time and fall apart easier, if you were to hit it or something. Is that the stuff you bought at the dollar store? I tried looking for some at one, but had no luck. yeah, place was called the dollar tree. pretty good deal I think, seeing as it's $7 a bad else wear. 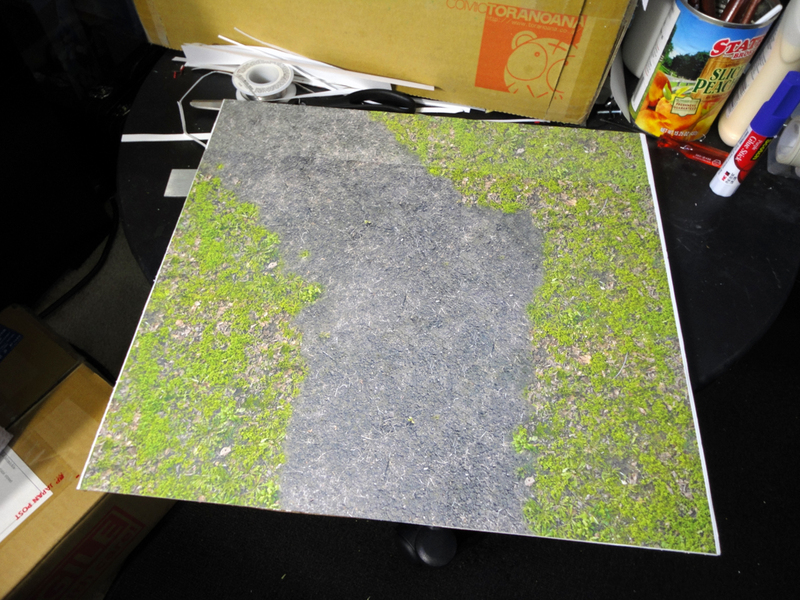 I'm not really sure how exactly to go about gluing the moss stuff in place. gluing it bit by bit looks natural, but it's very time consuming. tossing it on in bunching doesn't look very good however I think. That looks damn good, actually. 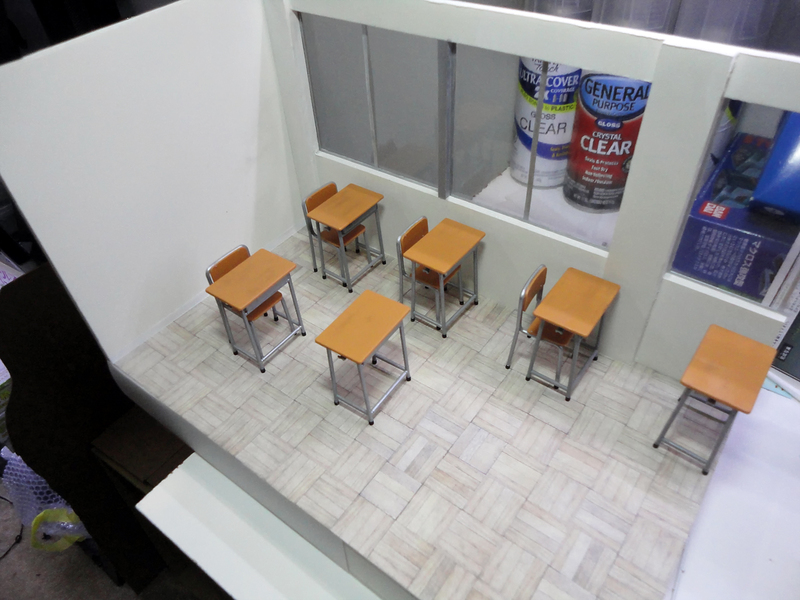 I'll have to hunt at more stores for some, since the first project like this I want to make is similar to yours. Not sure of any way to speed the process up, though. 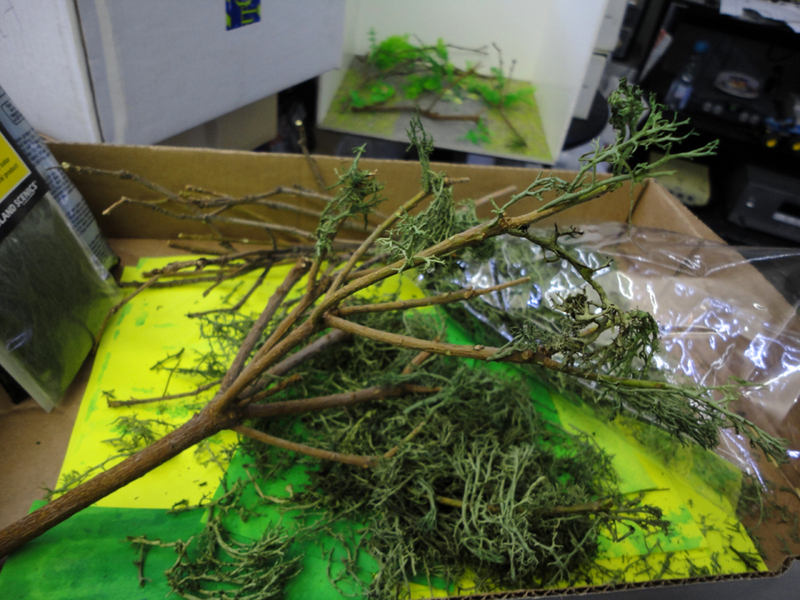 Maybe glue bunches of the moss together first, then glue that to the branches. Unless that's how you were doing it. Either way, it looks very good. Made a little fix for the front of this drum set, took less than half a hour to do. What would anyone put/play at a stage like this? 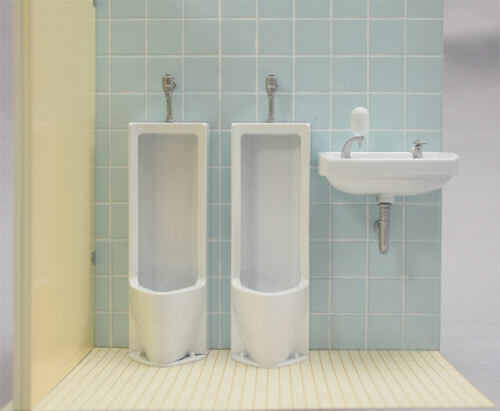 It really does seem like a niche thing, I can't think of many (non perverted ) uses for it myself aside from just having two action figures taking a piss side by side. Which might be amusing, if you're 12 years old. 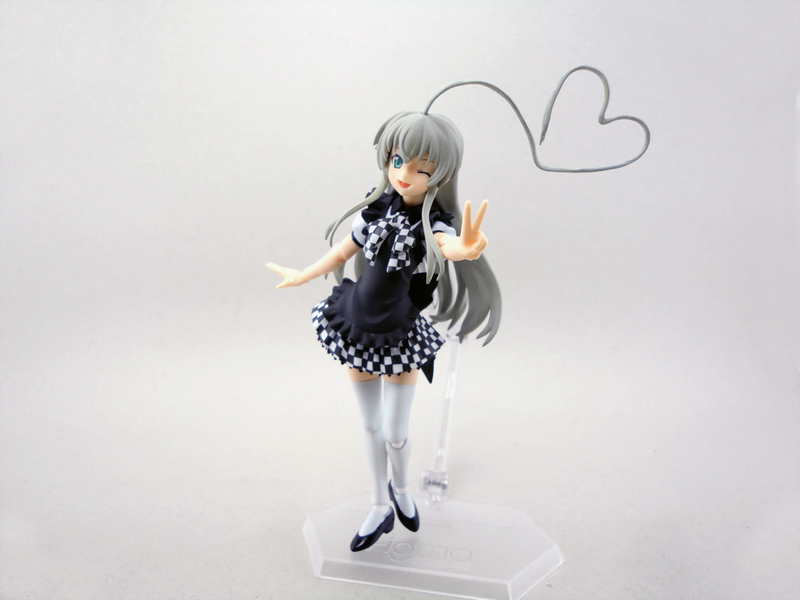 I want to get the regular toilet and get the Sumika figma and have her sit on it. It hink it would be pretty funny. 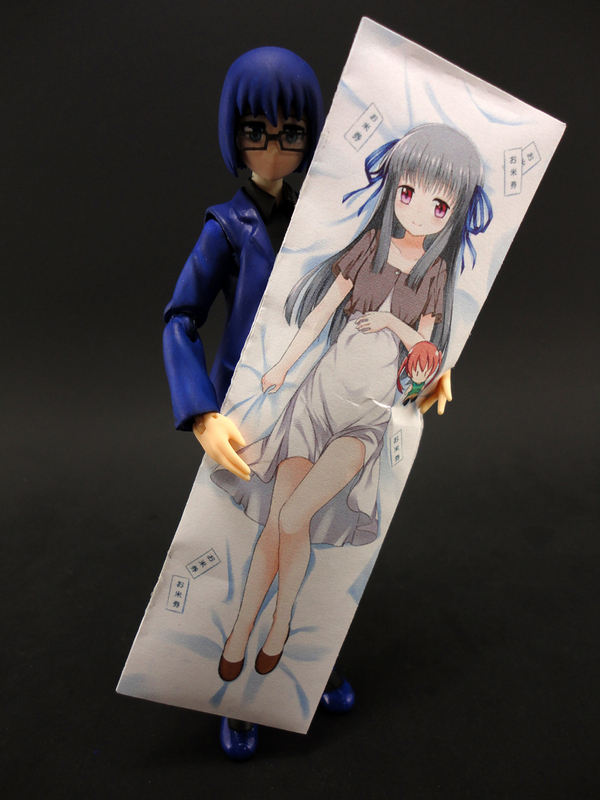 I'd like to get it to dunk the Kirino figma's head into, while other figma kick her around and laugh at her. Forgot my name thing on that one. Made it using a bendable wire thing that come on cables and stuff sometimes. How would I go about creating a base like the one if the left image? 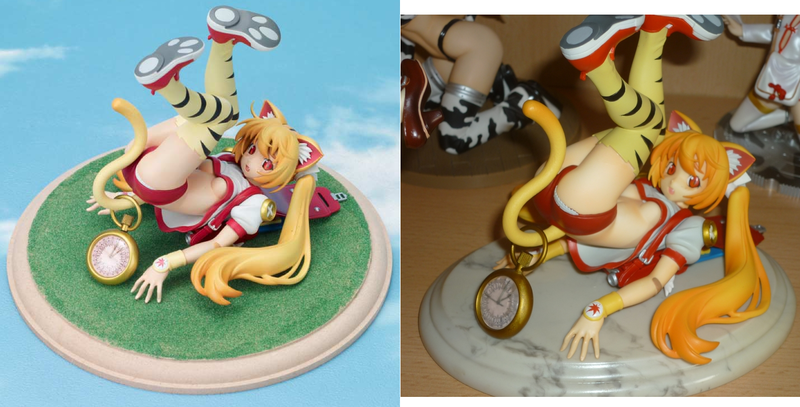 the figure was pictured as coming with that base but turns out it doesn't come with the figure. I've been using the plain one as a substitute, but I'd really like it to look more like the promo pics. Is the current base a good model for it, or should I craft a new one? alternatively you could try coating the top of the painted base with glue, something liquidity that drys clear and you could spread out. Then sprinkle onto that green sand. I believe some hobby shops sell sand in different colors. 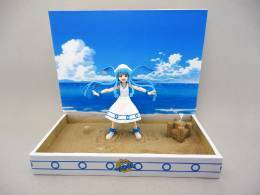 although this would essentially turn the base into sand paper and might ruin the figure, so the grass sheet would be more recommended. 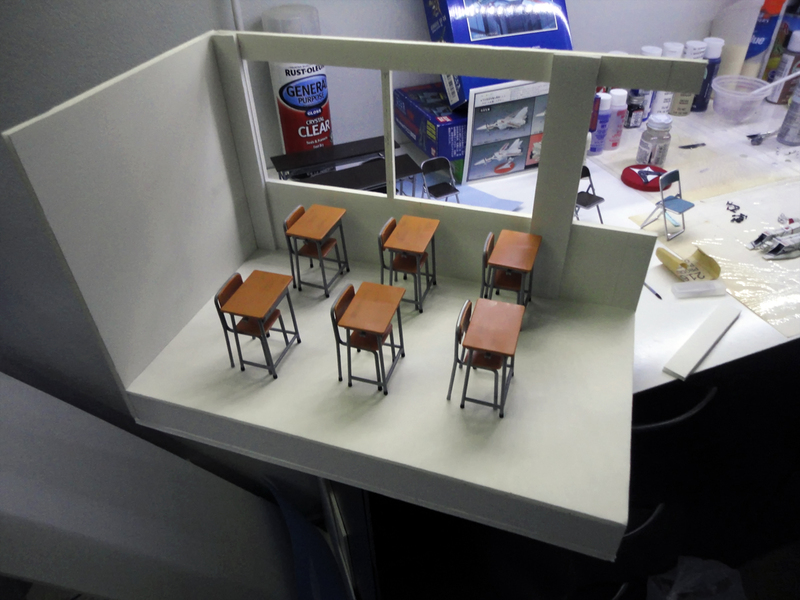 Started working on a little classroom thing to go with the desk sets I got. More or less finished the windows and added a floor texture. 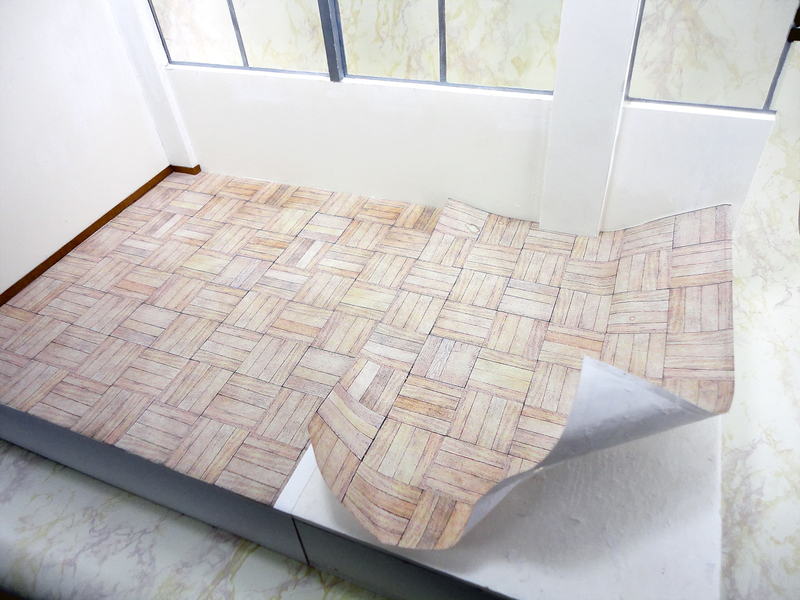 Darn printer sure killed the saturation on those floor parts..
Accidentally spilled a tiny bit of water on the floor texture I had printed out. Had to peel that half off and now I'm off to try again. Finished this thing up today, simple little prop for the corner of that classroom. 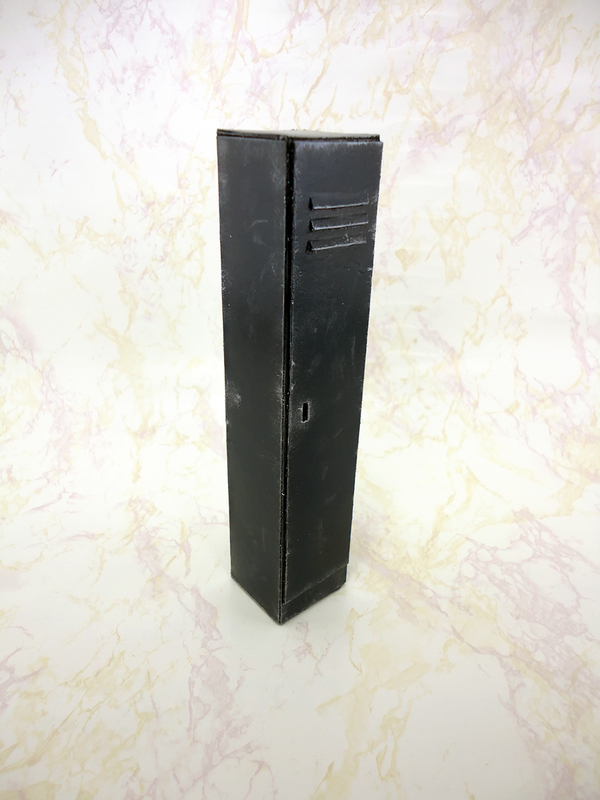 Tried looking around for paper craft lockers and even asked /po/ about it but had no luck, so ended up just building and painting one myself. Getting close to calling this thing done. 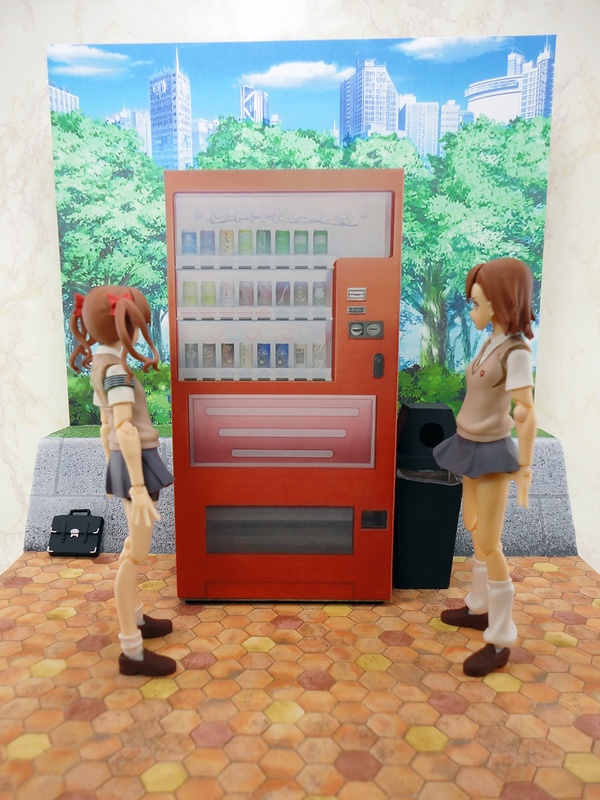 This is the most recent display thing I made for my railgun figs. 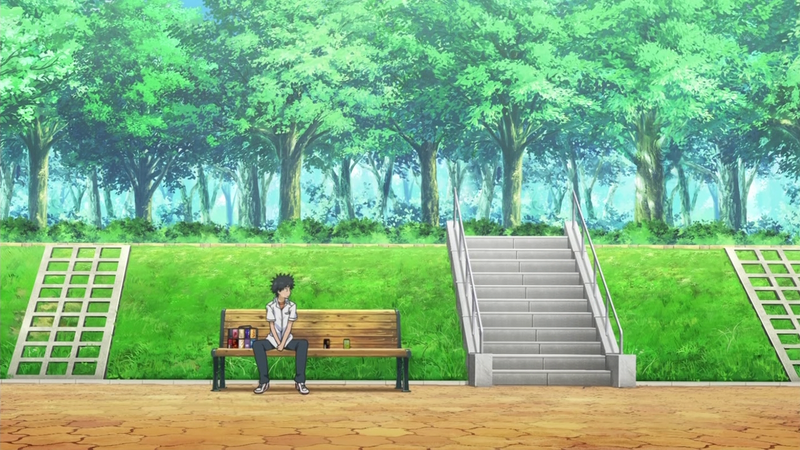 was thinking of also trying to make a park bench for it and some soda cans. you're really getting into this. it's good. How do you go about obtaining the backgrounds for these? They look too high definition to be printouts of screencaps or something. Actually that one was from screencaps, just edited. I had to edit that one and combine it with this one. For >>2211 I just used a screen cap from the anime's ending credits. 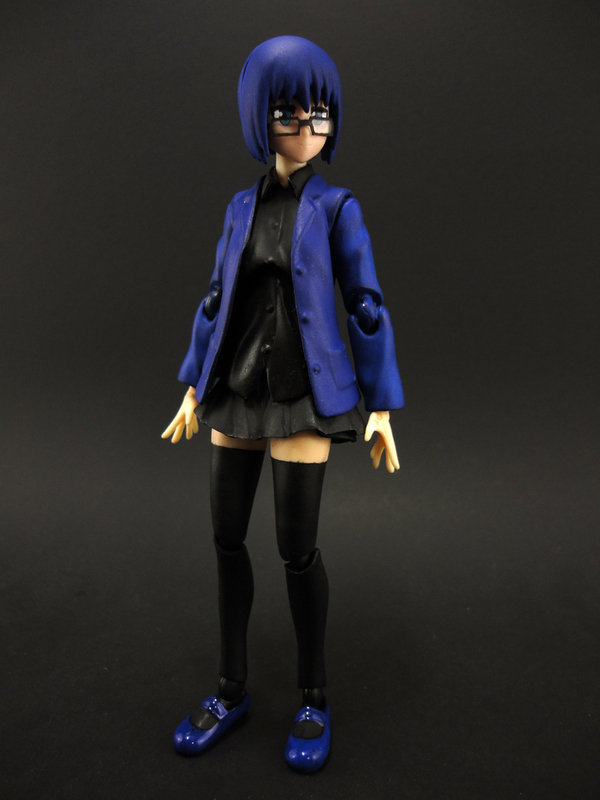 Have you guys ever made figures from scratch? How did it go? Pics? Tutorials? Tips? 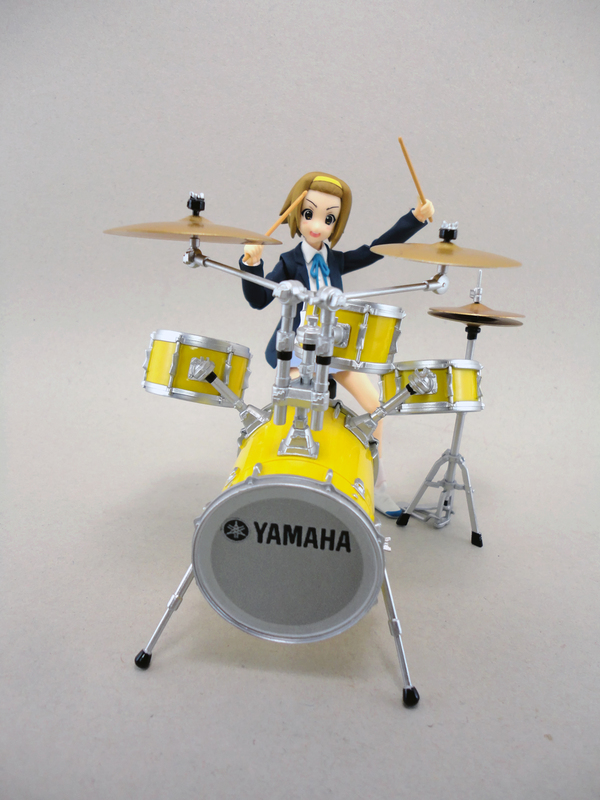 I found a spare head I think would work well with this junk Ritsu figma I've had for a while now. 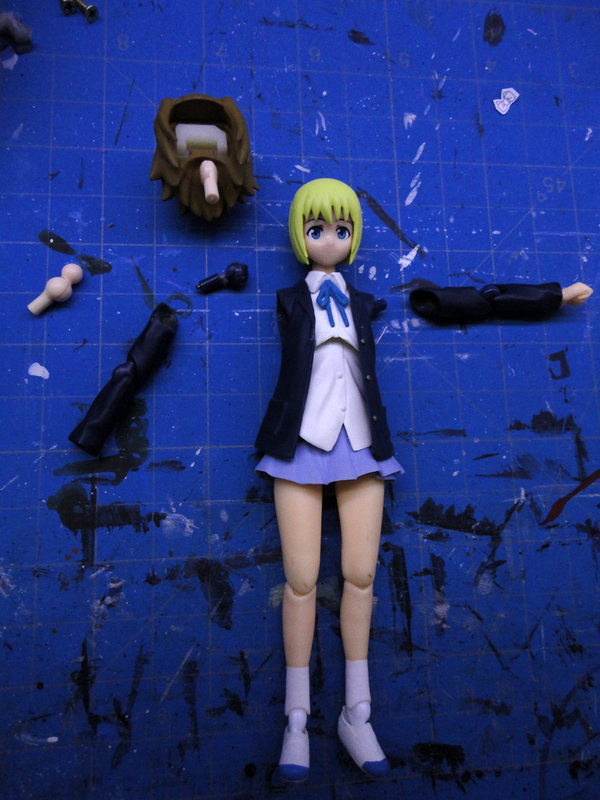 arm joint was busted and jacket was glued in place on one site, was also missing a lot of parts. I plan on painting the hair blue, adding some glasses, maybe recolor the outfit black/blue and do a few minor edits. Past the point of no return now. Removed the ribbon and did some work to the collar. Here's hoping it doesn't look too horrible in the end. Whelp, I got sick of painting this thing, screwing it up, repainting it, and making it worse. So I slapped the parts together and decided to call it done. She doesn't look too bad. Looks great. 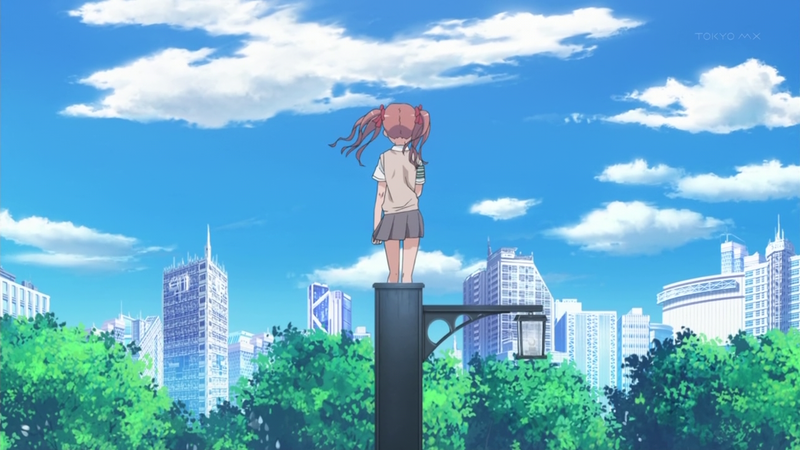 May I ask if she's a character from series or just OC? Wouldn't be complete without one of these to go with it.